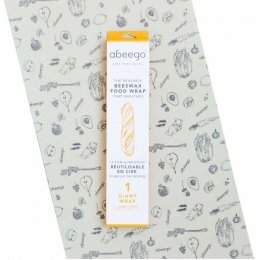 For thousands of years people have turned to nature’s preservatives, like those found in Abeego, to keep their food usable. 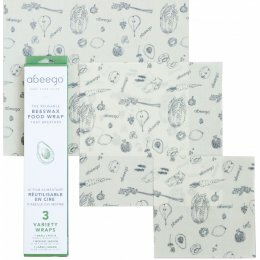 Abeego wraps allow food to breathe which improves the flavour, slows down the rate of decomposition, and leads to less wasted food. Established in 2008, creators Toni and Colin wanted to change worldwide attitudes and decades of enslavement to plastic clingfilm. Their products are completely natural - all ingredients are FDA approved for food use, and have naturally powerful qualities for keeping food fresh. As part of their process, excess material is used for business cards and ingenious twist ties. What does ends up in the waste stream biodegrades so you won’t find a massive floating island of Abeego in the middle of the ocean in 50 years! 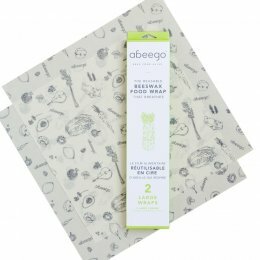 Abeego are driven by common sense and a persistent desire to help people change the way they think about their food. They are focused on providing a versatile material that can be used multiple times, in many ways, for varying degrees of food storage. 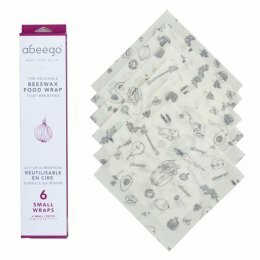 Plastic film has only existed for around 50 years yet contributes so much to waste - feel good about the natural alternative with Abeego.